WASHINGTON (RNS) — The unsealing of an affidavit this week charging 29-year-old Mariia Butina with “conspiracy to act as an agent of the Russian Federation” was yet another bombshell in the investigation into what U.S. intelligence agencies describe as Russian attempts to influence American elections and politics throughout 2016. But buried within the Justice Department’s affidavit was a peculiar detail: Butina, a Russian citizen living in the U.S., allegedly sought to influence U.S. officials not only through organizations such as the National Rifle Association, but also by exploiting the National Prayer Breakfast, an annual event in Washington, D.C., that typically includes a speech by the president of the United States. She also reportedly discussed with a colleague the possibility of bringing Putin to meet President Trump at the event, although that meeting did not ultimately occur. Using a religious event to broker unsanctioned political communication may seem like an unorthodox ploy. But evidence suggests sustained links between Russian officials and the National Prayer Breakfast that potentially opened the gathering up to exploitation. These interactions alone do not inherently imply nefarious intent, but they do provide context as to why Russia would target faith groups to influence American politics. 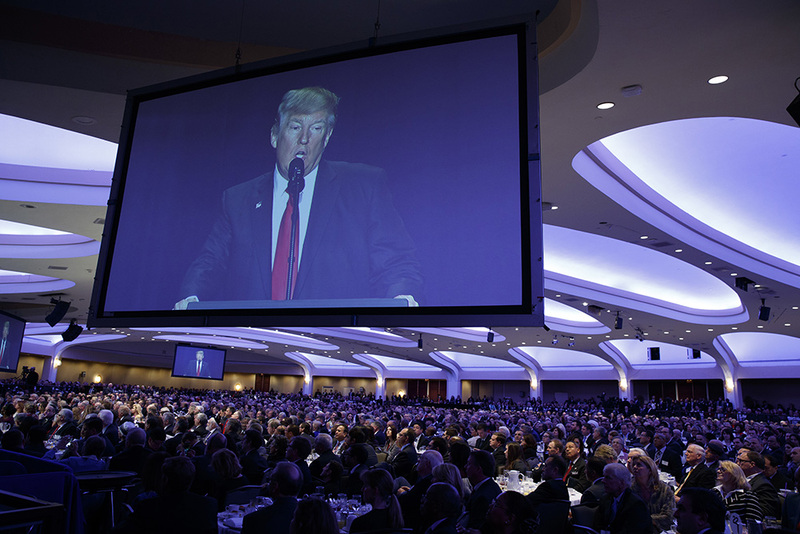 President Trump speaks during the National Prayer Breakfast on Feb. 2, 2017, in Washington. 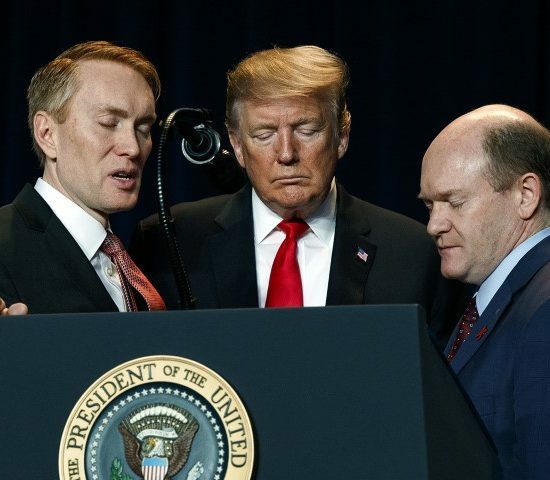 (AP Photo/Evan Vucci)Broadly devoted to Jesus but not tied to any Christian denomination, the foundation — which is often described as a network instead of an organization — holds almost mythical status among D.C.’s power brokers. Its organizers often refuse to divulge guest lists, preferring to offer sanctuary to meetings between American politicians and global leaders, without government or media scrutiny. What’s more, participants appear to see ultimate value in meetings and relationships seemingly irrespective of the motives of those present. “We don’t really care why they come because God’s a big guy, he can take care of himself,” one organizer, Tony Hall, told academic Michael Lindsay when Lindsay studied the prayer breakfast in 2006. But if the charges against Butina are true, it shows how the fusion of the foundation’s influence and dedication to anonymity may have allowed it to become a target for political exploitation and potential international espionage. The affidavit released this week cites a 2017 email from Butina to a prayer breakfast organizer in which she thanks the person for allowing her group to attend “and the very private meeting that followed.” The organizer in the affidavit is unnamed, but the de facto director of the prayer breakfast is Doug Burleigh, who effectively took over after the death of its previous leader (and Burleigh’s father-in-law) Doug Coe, in February 2017. 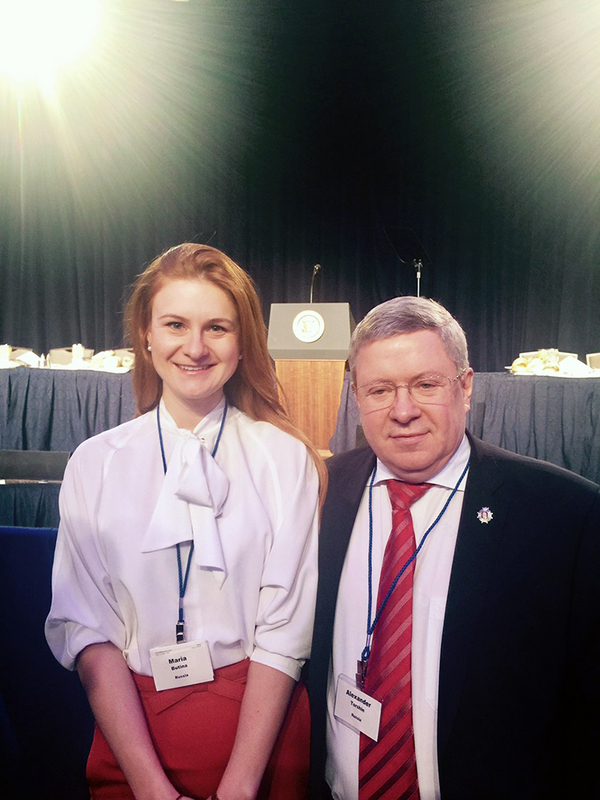 In April 2018, Alexander Torshin, a Russian politician who reportedly worked with Butina and closely matches the description of an unnamed “Russian official” in the affidavit, was sanctioned by the U.S. government, but only after he spent years forging alliances with American leaders — including religious ones. According to Yahoo News, Torshin initially set up a meeting with Trump before the 2017 prayer breakfast on Feb. 2. But White House officials canceled after learning that Torshin, who is also a close ally of Putin, has suspected ties to organized crime and a money-laundering ring. One year later, Russian interest in the National Prayer Breakfast only strengthened. Some outlets reported that an atypically large delegation of Russians — as many as 60 — planned to attend the 2018 event. Jim Slattery, a former Democratic congressman from Kansas who maintains ties to the National Prayer Breakfast and attended in 2018, acknowledged Russia “probably had the largest group” of any country that year. Slattery, who said he has seen prayer breakfast guest lists, did not respond to requests to confirm whether Torshin had attended. The former congressman did, however, say that Torshin was formally invited. Torshin was sanctioned two months after the prayer breakfast. Torshin’s connection to the foundation spans two continents. The network operates globally, as other nations hold prayer breakfasts modeled after the American version — including Russia. But Russians created what appears to be an entirely new “business” prayer breakfast in May 2017. The glitzy event featured Torshin and Burleigh as speakers. Burleigh, who also once headed up the American Christian youth organization Young Life, has spoken in the past about his extensive work in Russia. According to the Topeka Capital-Journal, he delivered a speech at a 2016 event in Kansas alongside then-Gov. Sam Brownback — now U.S. ambassador for religious freedom — where he mentioned his 50 years leading evangelical efforts in Russia. The same video also shows an interview with Burleigh after the event, where he praised dialogue between Trump and Putin and said the “press hates Trump” in the United States. Burleigh declined requests for a full on-the-record interview with Religion News Service but did confirm that he keynoted the event where Torshin also spoke, adding that he did not personally organize the event. Neither Burleigh nor the FBI would officially confirm whether he has been contacted by the bureau. 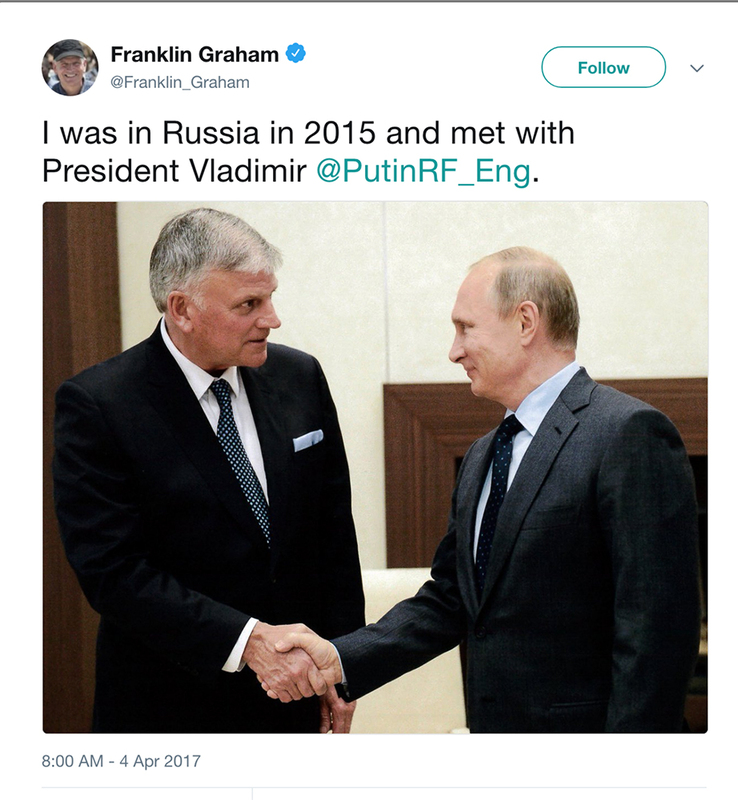 Franklin Graham tweeted a photo of meeting with Russian President Vladimir Putin in April 2017.Prayer breakfast diplomacy was hardly Torshin’s or other Russian officials’ only attempt to use American religious leaders to connect with Trump and his family. It has been widely reported that Torshin and Butina allegedly attempted to broker a 2016 meeting between Trump and Putin in Moscow at a “Persecuted Christians Summit” organized by American religious leader Franklin Graham, whose father, Billy Graham, played a crucial role in organizing the first National Prayer Breakfast in 1953. The Kremlin reportedly teamed up with leaders from the Russian Orthodox Church — such as church head Patriarch Kirill, who has been accused of being a former KGB agent — to use religious power to exert influence across Europe, according to The New York Times. 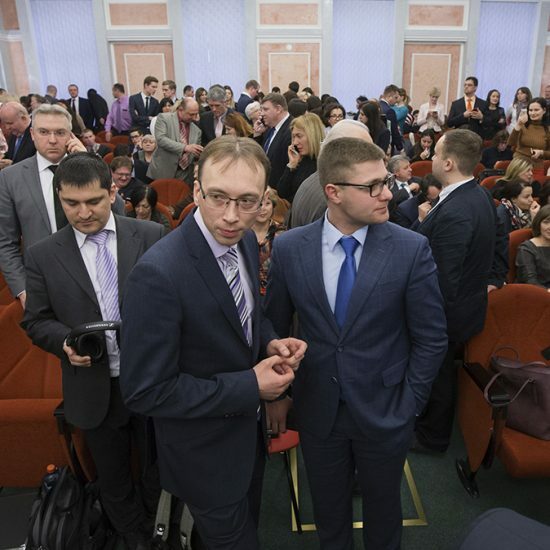 Meanwhile, U.S.-based groups such as the American Family Association, American Center for Law and Justice and National Organization for Marriage all endorsed various anti-gay legislation in Russia. 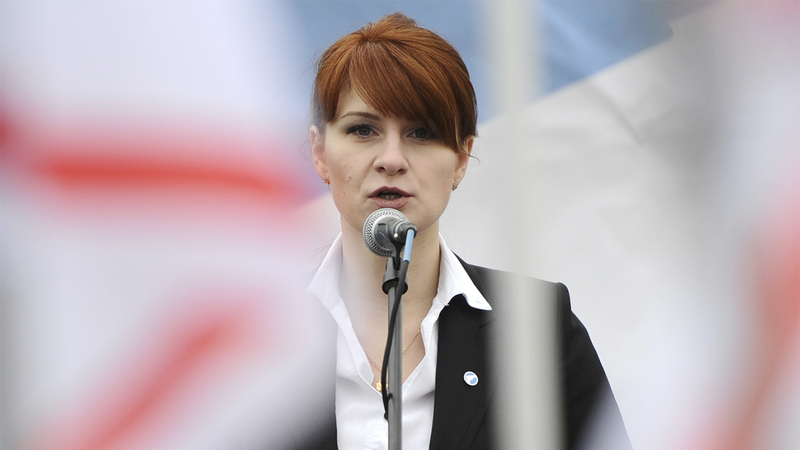 It remains to be seen what action, if any, the foundation and its leaders will take in response to Butina’s arrest. But a line from one of the Russian national’s alleged emails with a National Prayer Breakfast organizer — penned as she, according to the Justice Department, was actively conspiring against the United States — may prove haunting. “A new relationship between two countries always begins better when it begins in faith,” she wrote.